America’s love affair with fried foods has long been a catalyst for maintaining sound, back-of-the-house procedures. However, keeping employees safe by mitigating the risk of injuries from frying oil has proven to be tricky. So much so that foodservice accounts for the highest number of burns of any employment sector—about 12,000 annually—according to The Burn Foundation. Teens are particularly vulnerable in fast food restaurants due to their inexperience and the pressure of a fast-paced environment. With frying oil temperatures sometimes reaching 500 degrees Fahrenheit, it’s no wonder that insurance companies are taking a hard look at restaurant safety procedures in the kitchen from coast to coast. 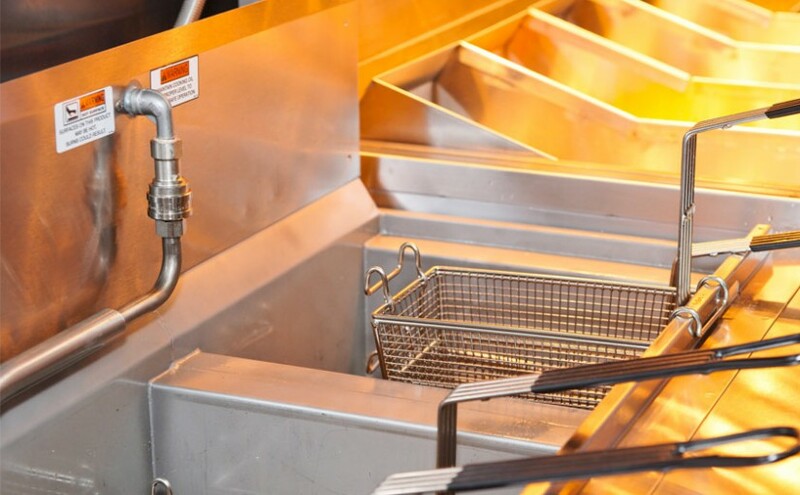 A research study from Restaurant Technologies, industry experts in the management of fryer oil, found the average risk for a restaurant is $46,000 per year primarily from the three most common types of injuries: strains and sprains; slips and falls; and burns and cuts. The survey also found that 60 percent of Workers’ Compensation claims in restaurants are linked to frying oil. Swanson noted that lifting 35-pound jugs of frying oil is often the culprit of back injury and Restaurant Technologies' research shows sprains and strains on average are the most expensive. These lifting-related claims can average around $156,993 if they result in a permanent disability. 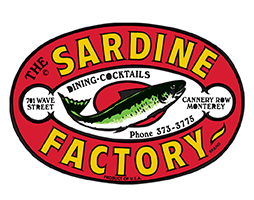 Monterey, Calif. -based restaurateur and owner of the famed Sardine Factory, Ted Balestreri, says it’s important for kitchens to keep a close eye on the temperature of the oil. Balestreri also points out it’s imperative to keep fire extinguishers in close proximity to fryers. 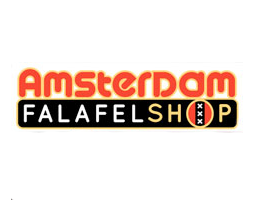 Amsterdam Falafelshop is a top-it-yourself, seven-unit fast casual falafel eatery based in Washington, D.C., that uses plenty of frying oil in its daily operations. Arianne Bennett, the founder of the 12-year-old concept, says splashing hot oil is a major concern that is addressed with a three-day employee safety training period. Swanson agrees that training is crucial and says Restaurant Technologies' Total Oil Management takes employee risk out of the equation by automating the entire oil adding, filtering and disposal processes. Never store oil near any gas or electric equipment. Train employees how to maintain the right level of oil in fryers at all times as fryers can catch on fire quickly when levels are too low. Have employees check equipment regularly, especially fryers, to make certain they are off when not in use, during cleaning, or while draining. If the burner kicks on while an employee is draining oil, vapors can easily flame up and start a fire. Cover fryers when not in use. Train employees to know that an empty fryer should always be thoroughly dried, as deep cleaning usually leaves behind a small amount of water. When fresh oil is added and the fryer is turned on, the water left behind can shoot a stream of hot water, oil and steam onto walls, floors, nearby equipment, and employees. If it hits an open flame or hot surface, it can quickly flare up. Make sure training manuals are translated for those employees who are not fluent in English. Maintain high standards of cleanliness. Staff uniforms should be appropriate, including non-skid shoes. Hair should be tied back to avoid getting stuck on a piece of equipment or the like. 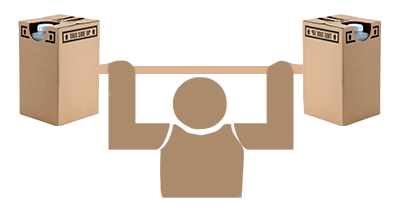 Have a first aid kit handy and know when an employee needs to seek medical attention. Contact Restaurant Technologies today to discover the safety of an automated frying oil system.